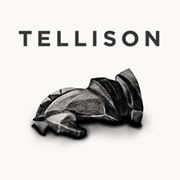 Oh looky, London quartet Tellison are back. 'Tact Is Dead' is a pay-what-you-want download, and a taste of a forthcoming album that will be coming out at some point, on Alcopop! Records. There's a few UK tour dates and all. Download the new track below. Find more info at tellison.co.uk.